Wondering what’s the purpose of the organizational chart? Read this article and you will find the answer and organize your business better. 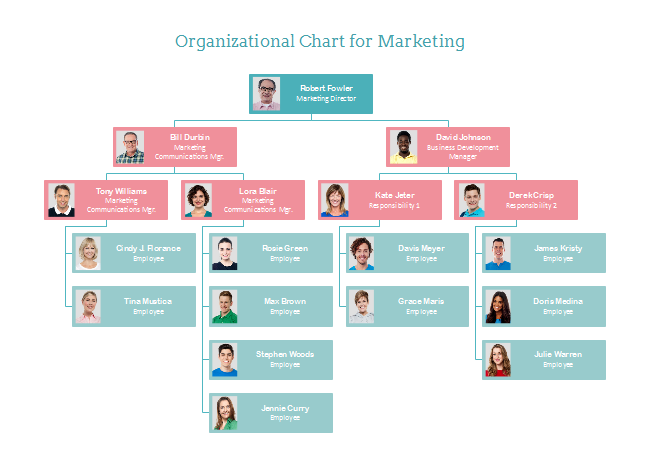 An organizational chart is a graphical representation of the roles, responsibilities, and relationship between individuals within an organization and it is a simple way to visualize how workflows within a business. It can be used to depict the structure of an organization as a whole or broken down by departments or units. There are different organizational chart types divided into different categories. 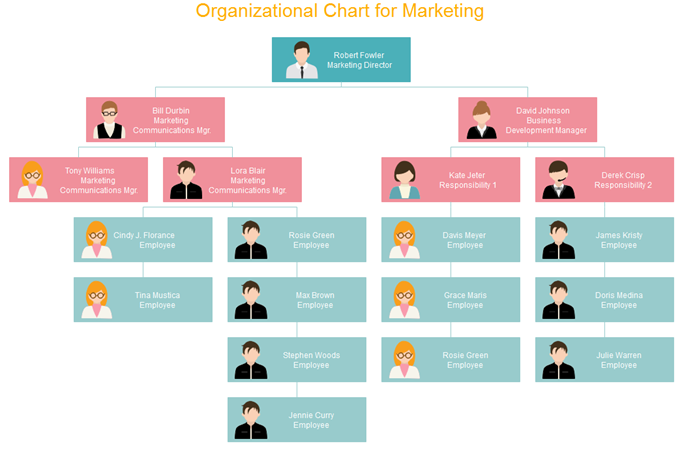 There are 4 organizational chart types divided by organization relationship and they are line organizational chart, lateral organizational chart, staff organizational chart and functional organizational chart. If divided by organization structure, it can be classified into the functional organizational chart, divisional organizational chart, hierarchical organizational chart and matrix organizational chart. More and more business companies tend to use organizational charts to structure their business better and keep competitive in this fluctuating market. Why do they like organizational charts? And what are the purposes of organizational charts? Here list the 4 main purposes of org charts for your reference. Organizational charts can help HR departments clearly know how the company is staffed, whether it is reasonable or not and makes appropriate adjustments if necessary. Org chart is a great tool for budgeting when organizing annual activities and avoid unnecessary waste. 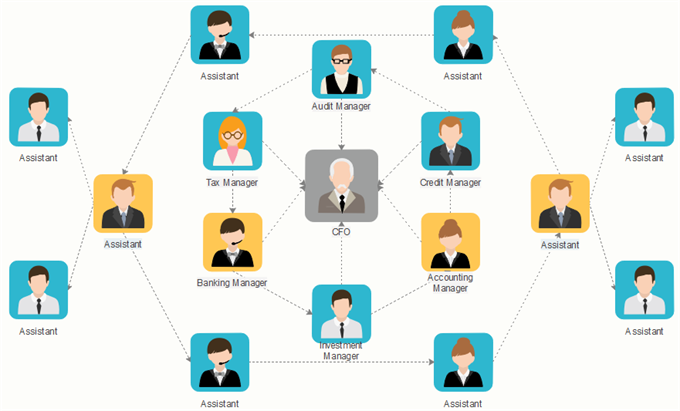 Org charts clearly depict the relationship and contact information within a business which helps the employee to contact each other more conveniently. Employers can use org charts to define the roles of each employee and check their duties accomplishment at fixed periods. 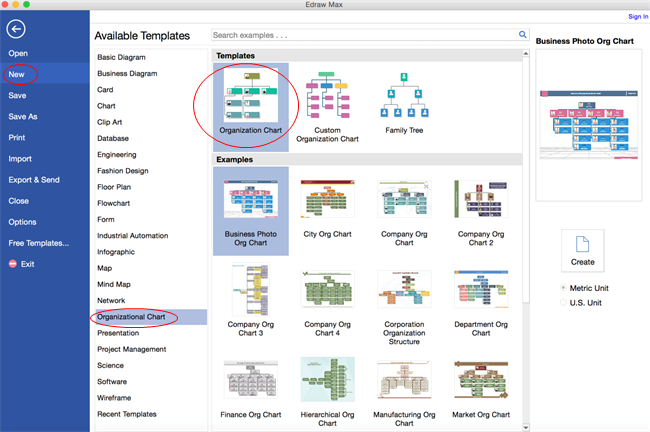 It is super easy to create an organizational chart with Edraw org chart creator. If your time is limited, just choose a professionally designed organizational chart template and start your edition to make it suitable for you. If you want to enjoy the drawing process and create the organizational chart totally by yourselves, just go to File menu > New > Organizational Chart, and double-click the icon of Organization Chart open a blank drawing page. Then you can start your creating with several drag-and-drop steps in minutes. 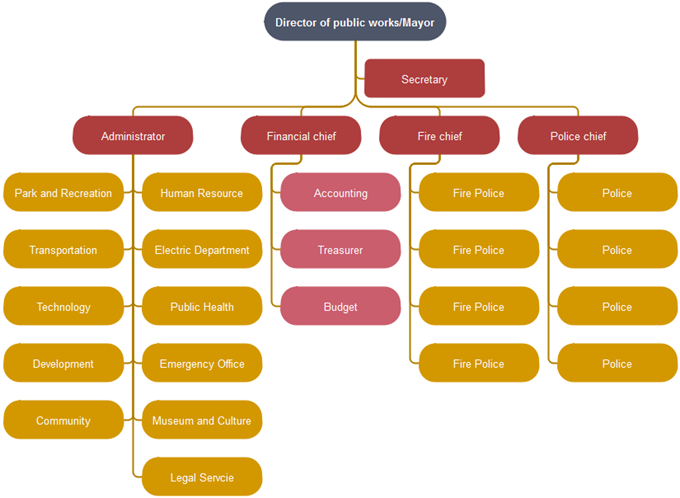 Below are organizational chart templates and examples created by our org chart maker. Are they interested you? If yes, just feel free to download and share them. And all the examples are editable, you can customize the contents and make them your new organizational charts.